Summer is upon us and by the time you're reading this, I'll be in Colorado where I'll spend the month of July bouncing around Denver and the Vail Valley at a series of mountainous art shows! My first stop is the famous Cherry Creek Art Festival in Denver, where I'm showing my photorealism. It's no secret that the patrons there are big fans of the show and the region, so I've celebrated exploring a variety of cherry themed pieces including three I'll share here. 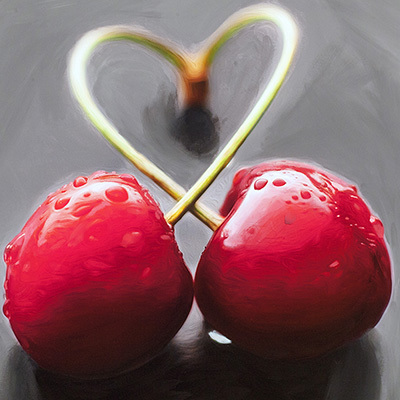 (right) "Cherry Heart" - 20"X20" acrylic on canvas. 'Nuff said! Haha! I decided to have a bit of fun with the texture on this one and blended the gradation of the cherries in a more painterly fashion than usual. 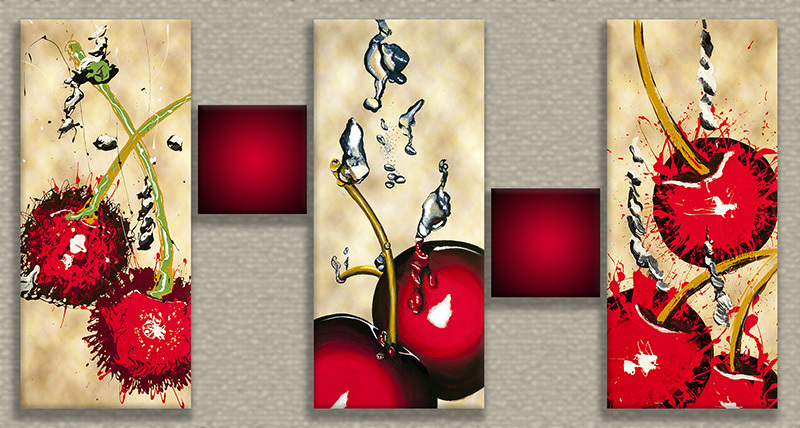 (below) "Cherry Splash Triptych" - 32"x60" installation. As I've been exploring looser painting techniques and having fun with my drizzlescapes, I've also enjoyed merging the new style with my photorealism. Here I wanted to portray one of my more popular images in three different styles as a single set. Upon completing the three 12"x32" panels, I wanted to include some small square canvasses to coalesce them. My fiance' Karla suggested I make them the gradated red like the cherries themselves. I look forward to photographing this on display in Denver! 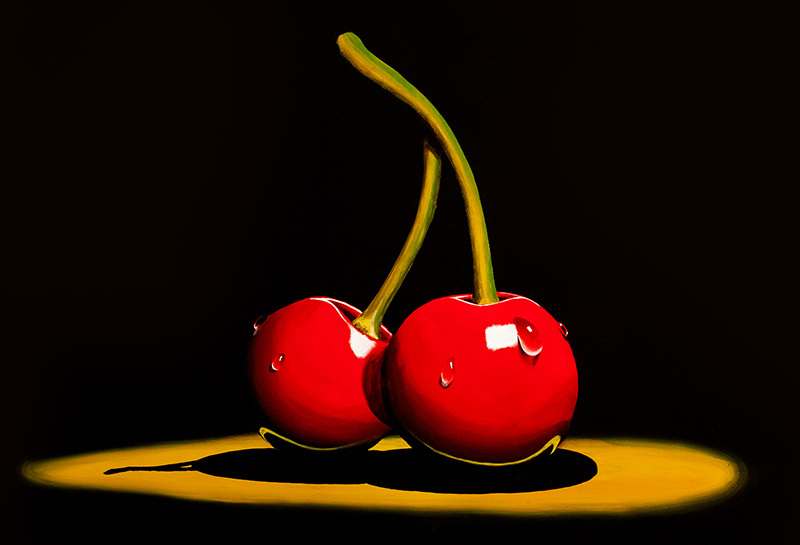 (below) Cherries - 36"x42" acrylic on canvas. At first glance this appears to be like the rest of my popular series of spot-lit fruit still lifes. The big difference here is that this one is THE LARGEST I've ever done at 3' tall and nearly 4' wide! Meanwhile, we're making great progress on "Learning to Drive"! 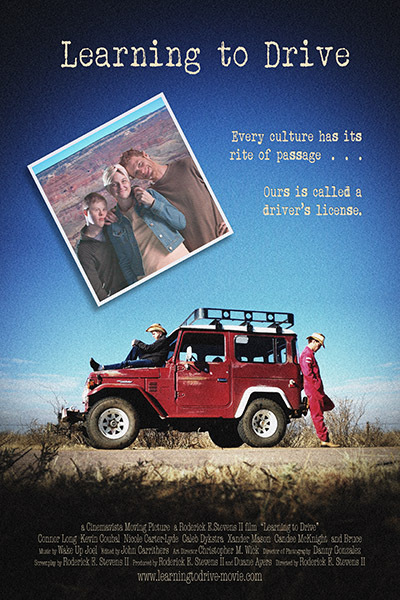 Below is a 1 minute teaser we released for the film last month! Please check it out and let me know what you think!!! Scene19 Teaser 720pa from Roderick E Stevens II on Vimeo. While in Colorado I'll be getting a few more 2nd Unit shots with our star Connor Long. By the fall, I hope to launch the next crowd-funding campaign to raise the funds for our 3 day pickup shoot in the winter.